Malaysia inaugurates new mathematics method in Nigeria – Royal Times of Nigeria. The Malaysian High Commissioner, Mr Datum Lim, has inaugurated the Social Intellectual Progressive (SIP) Abacus that would help strengthen the bridge in mathematical learning in Nigeria. Lim made the inauguration and presentation of the SIP and Brain Gym on Wednesday in Abuja. He urged Nigerians to adopt the SIPAbacus teaching method that originated from Malaysia to strengthen mathematics skills in Nigeria. Lim said that Nigeria had a larger number of students studying in Malaysia, adding that about 15,000 Nigerians were presently studying in Malaysia. “Mathematics is what students are usually afraid of, the introduction of SIP Abacus in Nigeria will help strengthen the bridge in mathematics. “It will also help to strengthen intellectual sharing of best practice and teaching methods in Nigeria. “Children need to be well-taught at early age bracket of five to 12 years. If you don’t teach these children on time, someone will teach them violence in life,” Lim said. The envoy said that the brain gym was like a motivational group activity to arouse the interest of children in learning. “As you know, when we were young, sometimes going to school may not be a very good experience. “When it comes to subjects, I think mathematics is something that a lot of people are afraid of, Abacus is one of the ways to introduce mathematics to children. 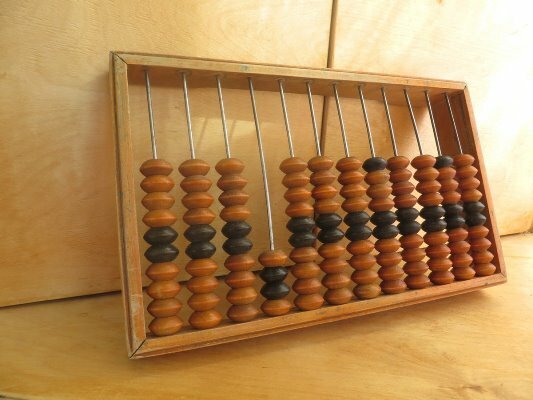 “The introduction of Abacus to Nigeria is new to Abuja but not in Nigeria,” he added. The Founder of SIP Abacus Worldwide, Mr Kelvin Tham. said that SIP was a way of aiding learning with the use of Abacus. Tham said that Abacus had been used to coach 500,000 kids between ages five and 12 in India, Philippines, United Arab Emirates, Tanzania, South Africa and other countries since 1993. “Every child is born smart, all they need is skills. Everyone in Nigeria will have good learning skills with the help of Abacus,” Tham said. According to him, major key in successful learning is by imagination and learning ability. Also speaking, Prof. Egbokhare Ilevbare of the the University of Ibadan, said that in the process of globalisation, skills were more important than possession of natural resources. Ilevbare said that there was the need for creative education. “It is no excuse that you cannot fit into the international scene because you are a Nigerian since the tools are available. “Because competition and education are no longer local, Nigerians are partnering with Malaysia to replicate the Abacus teaching method of the same standard in the country,” Ilevbare said. The Chairperson, Educraft SIP Academy, Mrs Omolara Omontuenmhen, said that SIP Abacus was introduced in Nigeria by Malaysia to teach mathematics in a fun-loving way. Omontuenmhen, who got the franchise to replicate the method in Nigeria, said that Abacus would take children through on how to understand the basic things (addition, subtraction, multiplication and division) within the shortest period. “And then when they get to Primary School, we teach them how to cram. We teach them ten times twelve, and when they get to twelve times twelve that is the end because they cannot go further and that is when Abacus starts. According to her, those that studied sciences here without Abacus find it difficult at the international schools owing to the method of learning in Nigeria. Omontuenmhen said that many schools claiming to be using Montessori method of teaching did great job at the nursery level but could not continue. “They drop the idea of Montessori when they get to secondary school but this is the continuation of Montossori which people adopt at the formation stage, from five years to twelves years,” Omontuenmhen said. On brain gym, she said a child needed to know how to put an analytical process down in a domestic way. Omontuenmhen said that brain gym prepared the child for learning as it helped the child to coordinate to be able to receive learning. She said that the brain gym also help the child’s coordination to be able to receive whatever was needed for learning, adding that it involves movement of the body.